Name: FoxFi (WiFi Tether w/o Root) Apk. 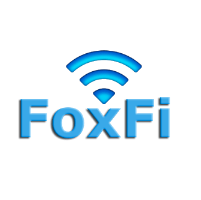 Foxfi Apk is a great android application that will turn your android device into wifi hotspot without applying any extra charges. 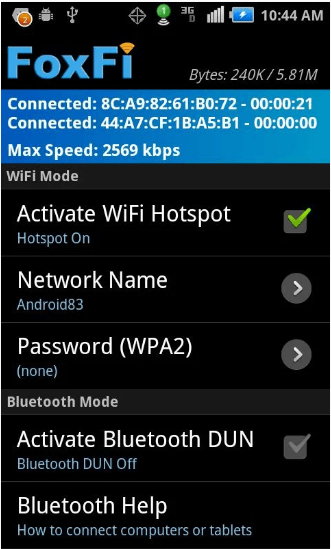 Foxfi (WiFi Tether w/o Root) contain both Foxfi (wifi mode) and PdaNet (Bluetooth and USB mode). So turn your android device into a free hotspot and enjoy your cell phone internet connection on your tablet or laptop either by wifi hotspot, Bluetooth or by USB. Foxfi does not apply any extra charges from your carrier. Charges of your mobile data will be only applied. Most of the networks applied extra charges for using mobile hotspot but Foxfi blocks all those extra charges and allows you to use hotspot on your normal rates. Foxfi apk can work on all android devices. No Rooting of phone is required. AT&T Samsung phones will only work on Android 4.2 or below. HTC phones (M7/8) will only work on Android 4.1 ~ 4.4. Sony phones (Z2/Z3) are supported by all Android versions including Android 6.0/6.1. Other carriers/phones will only work if they still have Android 4.0 or below. For all other phones, use USB mode or Bluetooth mode instead. *To get around lockdowns on WiFi mode FoxFi may prompt you to install a certificate on your phone, this will cause the Android system to enforce a screen lock and show a security message in notification. For more detail and steps to remove screen lock please visit http://pdanet.co/wifi. *If you receive a message asking for a “password for credential storage” this is due to a bug in the Android system. Please see steps to clear this message at http://pdanet.co/wifi. USB Mode works on all most all android devices. It allows you to connect your phone with your laptop or your mac and use your mobile internet on your laptop. PdaNet also includes feature of “wifi share” which will turn your laptop or mac into a wifi hotspot you that you can use it on several other devices. Bluetooth Mode also work on all android devices. You can easily connect your android device with your tabs or laptop through Bluetooth and use your mobile connections on them. 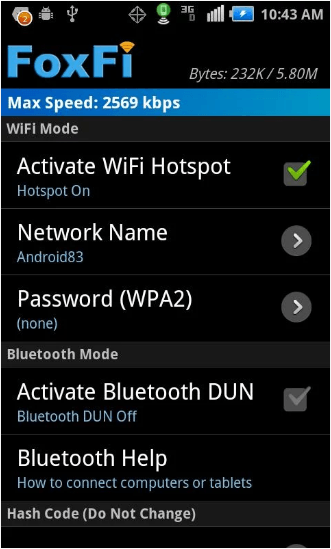 Bluetooth Mode will work on all android devices (excluding android 4.4) or your device must need to support Bluetooth DUN.